Apple is holding an event on September 9 at the Flint Center in Cupertino, where it is expected to unveil the iPhone 6, iWatch and even the next generation iPads. For those who can’t be there, the company has just announced that it will be live streaming it on its website. To watch the live stream, however, viewers need to have Safari Web browser version 5.1.10 or above on the OS X v10.6.8 or later. You can also watch it on your iPhone and iPad, as long as it is running iOS 6.0 or later using the Safari browser. Apple TV users can also stream the event as long as they have the second or third generation Apple TV with software 5.0.2 or later. Apple hasn’t launched anything major this year yet and the September 9 event is seen as a litmus test for CEO Tim Cook, who needs to prove Apple can still innovate in the post Steve Jobs era. The last new product category Apple had introduced was the iPad in 2010. Cook has been hinting for almost a year now that Apple has a lot of exciting products lined up for Fall and into 2015, which would include new product categories. 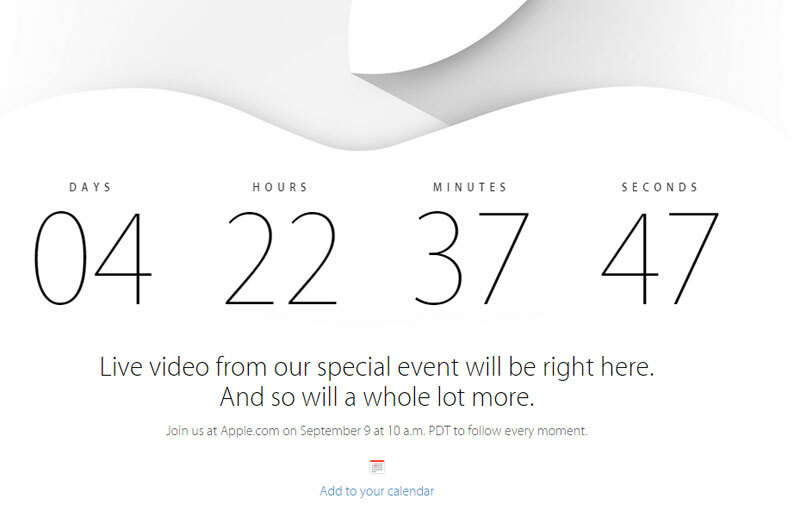 This entry was posted in Uncategorized and tagged apple, APPLE EVENT LIVE STREAM, APPLE SEPTEMBER 9 EVENT, Apple TV, Safari Web browser, third generation Apple. Bookmark the permalink.